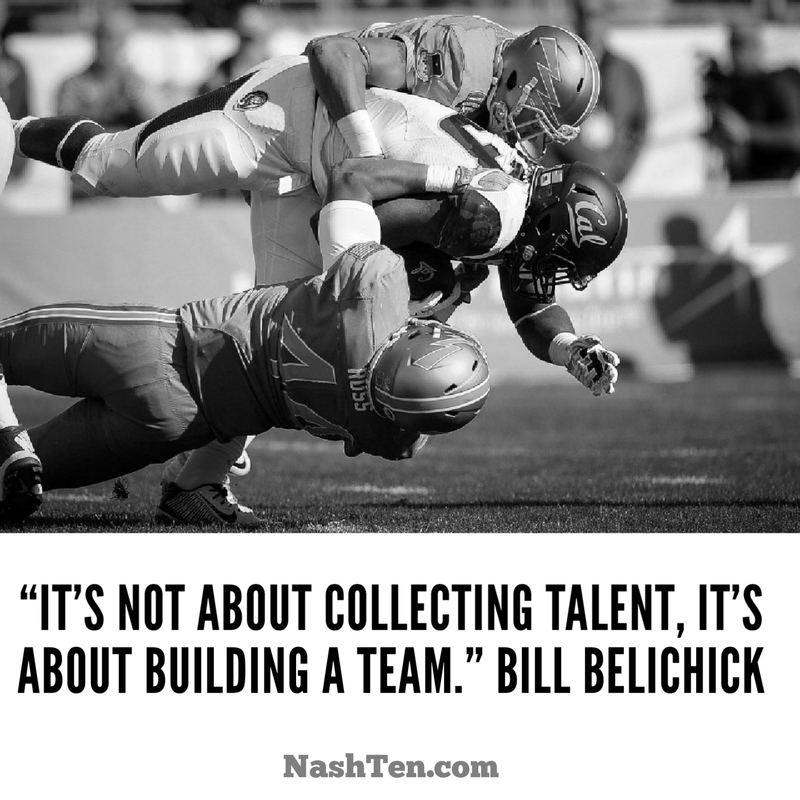 This is what Bill Belichick, Head Coach of the New England Patriots, said of his strategy of hiring the right players for his team. And with his track record, I would listen. The man has won 30 playoff games and 5 Super Bowls in his 24 years as an NFL head coach. His shot at number six is this weekend. And he did it with players most other teams didn’t want. Tom Brady is a great example. The man who is considered to be the greatest QB to ever play in the NFL was a below-average QB from Michigan before he met Belichick. In fact, Brady was drafted in the sixth round of the NFL. A league where most sixth-rounders don’t make the final roster. Belichick does more by putting the right people in the right place. He’s not collecting divas and superstars because he knows they tend to have trouble following rules and working with others. He would rather have people that know his game plan and execute it exactly how he intended. Belichick knows the consistency will bring more wins and championships in the long run. Anytime you need to assemble a team for a job, I suggest you follow the Patriots lead. Take a real estate transaction. There are more than 50 people that have a part to play in your deal when you consider the lenders, appraisers, inspectors, contractors, agents and their co-workers. That’s your team. And it only takes one mistake to bring it all to a grinding halt. Look for partners that have similar personality, goals, and principles. Those that are aligned with what you want to accomplish, know how to help you get there and have a track record of making it happen. This should be part of your game plan. If you need to find good people in Nashville for anything, give me a call. I am here to help you.